Amid debate over whether the Labour Party’s renationalisation proposals are a recipe for disaster or success, there may be something strangely fitting in the suspicion that many people’s defining memory of the last period of state industry control in the UK is the British Rail sandwich. For almost half a century, under the solemn aegis of the public sector, examples of these culinary and cultural icons lurked beneath glass domes on the counters of station buffets, thus surrendering to the classic “curled up” effect, or were suffocated in clingfilm in readiness for what we now call “at-seat service”, thus cultivating their trademark sweaty sogginess. Today, given its enduring status as a synonym for wretchedness, it is all too easy to infer that BR’s gastronomic weapon of choice was emblematic of nationalisation as a whole. Yet recent polls have suggested that if a referendum were held on the renationalisation of rail, energy and water utilities — all of which are included in Labour’s manifesto pledge — the “yes” camp would secure a significantly larger majority than in the vote for Brexit. So why is the idea of renationalisation so popular? It cannot be that all of its supporters are too young to have experienced the agonies of a slice of Mother’s Pride on the 18.10 to Princes Risborough, so why does the prospect of reversing privatisation have such appeal? More importantly, how realistic are Labour’s plans — regardless of how well received they might be — and could they prove to be the straw that breaks Britain’s fiscal back? Labour’s fundamental commitment to nationalisation can be traced back to 1918 and a constitution containing a passage that came to be known as Clause IV. Drafted by Sidney Webb, co-founder of the London School of Economics, this endorsed “common ownership of the means of production, distribution and exchange”. Many years would pass before the text’s practical implications became clear. In 1944, at a union meeting in Reading, a retired railway worker named Will Cannon proposed a motion calling for “nationalisation”. It was passed. By December of that year it had been adopted by the Labour Party at a nationwide level; and in July 1945, with Clement Attlee’s government in power and Clause IV very much in mind, it could finally be put into practice. Crucially, post-war exigencies made the process much more than an exercise in socialist idealism. Facing years of rebuilding, Attlee set about restructuring major strategic industries and public services. The Bank of England was first on the list, followed by coal, railways and steel. Water services had already been nationalised for several decades. A key argument for nationalisation — then and now — was that private enterprise is naturally focused on making the biggest possible profit, which is against the common interest. Yet the reverse would also apply. With government stepping in to subsidise any operating losses, why would a nationalised industry strive for optimum efficiency or fight for a place at the cutting edge of innovation? An increasingly common criticism by the 1970s was that state-owned utilities, because they had no duties to shareholders and no competition, were inherently ineffective and inert. Consider, for instance, the “modernisation” of the rail network in the late 1950s. In 1955 the government announced a package worth £1.2 billion — equivalent to around £80 billion today — to repair outdated track, electrify main lines and introduce diesel engines. It appeared to be a grand plan, but it turned out to be woefully shortsighted. “It essentially replaced what already existed rather than looking at current and future needs,” says Dr Jonathan Cowie, a lecturer in transport economics at Edinburgh Napier University. “It missed a once-in-a-lifetime opportunity to revitalise the system.” The Beeching cuts followed just a few years later. By 1979, with Margaret Thatcher at the helm of the new Conservative government, Britain’s nationalised industries had become the stuff of tragicomedy. Enraged by union-led strikes and poor productivity, Basil Fawlty mooted the British Leyland Concerto — “in four movements, all of them slow, with a four-hour tea-break in between”. 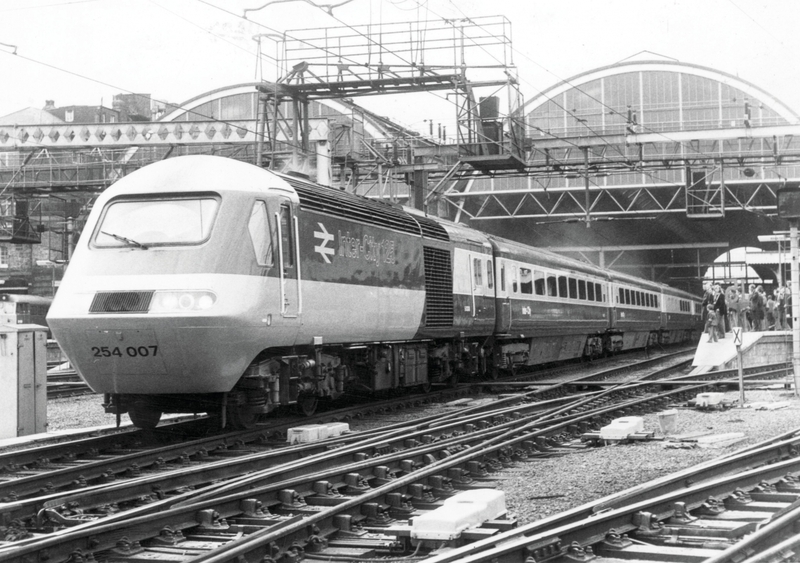 The British Rail sandwich had by now been publicly lampooned for more than 25 years, including serving as the subject of an entire episode of The Goon Show, and even the abandonment of clingfilm failed to save its reputation. In reality, though, this was no laughing matter. Britain was in dire economic straits. Privatisation was in part viewed as a means of tempering inflation and suppressing wages, not least when recession began to bite in earnest in the early 1980s. Extolling the “discipline” of the marketplace, the Conservatives argued that their agenda would boost the nation’s competitiveness. British Aerospace and Cable & Wireless were the first companies to be sold off. British Telecom and Britoil soon followed as the focus quickly shifted from privatising firms to privatising utilities. In 1986, as the Thatcherite programme gained momentum, the fast-emerging bent for “popular capitalism” was perfectly encapsulated in the famous “Tell Sid” advertising campaign, which accompanied the flotation of British Gas. Wooed by the chance to buy shares at “affordable” prices, hundreds of thousands of Britons became stockholders for the first time in their lives. Nine years later, following a vote at Westminster’s Methodist Central Hall, the same venue where it had been adopted in 1918, Clause IV was officially amended. The revised version no longer signalled Labour’s commitment to nationalisation: instead it signalled a commitment to “a dynamic economy... in which the enterprise of the market and the rigour of competition are joined with the forces of partnership and cooperation to produce the wealth the nation needs”. The outcome marked a momentous victory for Tony Blair, who would sweep to a landslide election win two years later. Meanwhile, a backbench MP named Jeremy Corbyn expressed his concerns over “the question of the party’s constitution”. So why is there a such a groundswell of support for nationalisation again today? As with so many political issues at present, the simplest explanation lies in a burgeoning appetite for radical change. Amid a continued squeeze on real incomes and a widespread belief that wealth distribution is intolerably unfair, any measure perceived as a curb on capitalism’s excesses is likely to find a sympathetic audience. But what might the fiscal consequences of renationalisation be? Numerous economists have noted that Corbyn’s would-be targets — unlike Attlee’s — are thriving and that the cost of acquisition would be balanced by the value of the assets acquired. It has been estimated that around five percentage points would be added to the national debt, which at the start of this year stood at 86% of GDP — compared to 245% in the early post-war period. The railways pose perhaps the trickiest problem in terms of practicalities. There are currently 18 rail franchises, and the most painless approach — which Labour favours — would be to snap them up one by one as contracts expire. At least Network Rail, responsible for tracks and signalling, is already under Whitehall’s control — although, by its own admission, it is also responsible for 60% of delays. Along with the National Grid, which runs the UK’s energy-transmission network, Britain’s major energy companies are valued at a total of around £100 billion. Their nationalisation would also be a gradual process. According to Dr Robert Gross, director of Imperial College London’s Centre for Energy Policy and Technology, a state-owned energy utility could “take strategic decisions for the good of the country” — an interesting point, given that a number of the existing providers are foreign-owned. And what about water? The Social Market Foundation and the Centre for Policy Studies have calculated that the sector is worth up to £90 billion, while research by the University of Greenwich has found that consumers in England pay £2.3 billion more a year for their water and sewage bills than they would if privatisation had not taken place. On balance, then, it is easy enough to understand the basic appeal of selective renationalisation. However, even if it could be achieved without inviting immediate calamity, history suggests that a vital question remains to be answered: would it be sustainable? From the 1940s to the 1970s, when nationalisation was at its peak, Britain’s economic growth was poor. Many factors were at play, of course, but nationalisation was undoubtedly one of them. A sizeable body of research has since shown that privately owned companies are more innovative; and they are more innovative because they have an obligation to deliver profits to their shareholders. Many of the nationalised organisations of the past felt nothing even distantly akin to such an obligation, which is why — all politics aside — they eventually became unsustainable. So public ownership may well be back in fashion, but its next incarnation cannot be a carbon copy of the original. 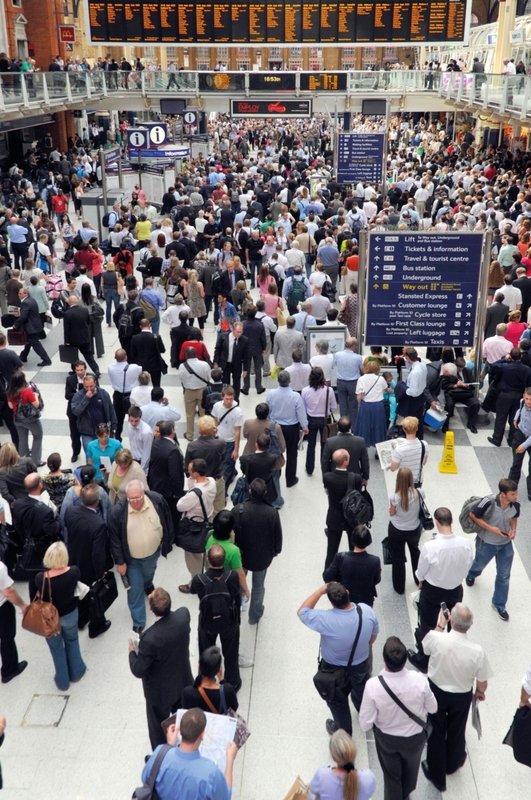 Should it ultimately materialise, renationalisation will need to offer something substantively different and altogether less flawed — otherwise, like the British Rail sandwich before it, it will present a singularly stale and unappetising prospect.